“Progress in the development of the “Belt and Road Initiative” will depend on how far China can take action to solve the emerging problems. Central Asian states also need to develop standards for cooperation with the PRC and, apart from economic indicators, pay more attention to environmental and social issues”, – Kairat Moldashev, researcher, states in his article written specifically for the analytical platform CABAR.asia. In relations with the countries of Central Asia, one of the risk factors for the “Belt and Road Initiative” is the policy of the PRC regarding ethnic minorities in the Xinjiang Uighur Autonomous Region. There are much talks about the Chinese “Belt and Road Initiative” (Chinese: 一带一路) and its impact on Central Asia. Mainly the economic benefits of the initiative and possible changes in the balance of forces in the region are discussed, but little is said about the risks that affect the success of the initiative in the long-term perspective. Central Asia had attracted significant investments from the People’s Republic of China (PRC) up to 2013, when Xi Jinping first announced the “Belt and Road Initiative” in Astana. But as it often happens in countries with a centralized decision-making system, almost all Chinese investment projects since 2013 or in the process of implementation at this point, have become part of this initiative. Chinese investments in Central Asia are concentrated in infrastructure and energy projects. This complies with the PRC’s foreign economic policy, which is aimed at gaining access to mineral resources and entering new markets for export. The establishment of the Asian Infrastructure Investment Bank (AIIB) and the Silk Road Fund in 2014 demonstrated the seriousness of Xi Jinping’s intentions in financing the “Belt and Road Initiative”. “Belt and Road” is a timely initiative for China and other Asian countries. According to the Asian Development Bank’s (ADB) assessment, in the period of 2016 to 2030 it is necessary to invest 26 trillion US dollars in developing part of Asia to fight against poverty, adverse climate change and for the economic growth. In addition, China itself needs further growth in export markets and the development of the Xinjiang Uighur Autonomous Region. Central Asia is a key region for economic growth of the Xinjiang and the development of a land corridor between China and Western countries as an alternative to the sea routes. At the moment, Central Asian countries are open to Chinese investments, but the medium and long term success of the “Belt and Road Initiative” implementation in Central Asia will depend on many factors. These factors must be considered by the Chinese side and the countries of Central Asia – recipients of investments from the PRC. Much has been said about the economic and geopolitical factors influencing the emergence and promotion of “Belt and Road” in the scientific and analytical literature. In this article I would like to pay attention to other problems that may adversely affect the further development of this initiative. These are the issues of sustainable development, the absence of control by the PRC over possible corruption schemes in investment projects and China’s domestic policy regarding national minorities. Insufficient attention to resolving these issues may slow down the process of projects implementation under the Chinese initiative in Central Asia in the future. The following sections list the risks for “Belt and Road” for each of these points. The growth of the Chinese economy, as in other industrializing countries, is accompanied by environmental problems. Smog in Beijing and other industrial cities of the country led to the introduction of the policy of the so-called “war against pollution” in 2014. Industrialization and agriculture without applying the principles of sustainable development have become the main causes of soil pollution in China. According to a study by the Ministry of Environmental Protection of China, about 20% of the land suitable for agriculture is highly polluted. Millions of hectares of land have already become unsuitable for agriculture. If China has only recently begun to discuss environmental issues at the highest level and to take serious measures, is it worth expecting that Chinese investors will be more responsible for environmental issues in underdeveloped and developing countries? Investors from Europe and the United States got used to government regulation at home, fearing a boycott and pressure from non-governmental organizations and consumers, while Chinese investors do not feel this kind of pressure. One of the weaknesses of the Chinese environmental policy is the lack of attention to the role of non-governmental and public organizations. Studies show that environmental modernization within China, aimed at improving the environmental situation, was not reflected in the adjustment of investment activities outside the country. In addition, the governments in underdeveloped and developing countries often lower environmental standards to attract foreign investors, despite the fact that infrastructure projects (railways, roads, pipelines and power lines) usually carry risks of reducing biodiversity change of ecosystem and environmental pollution during construction and exploitation. But with the development of the economy and the deterioration of the environmental situation, the growth of requirements for foreign investments and for its own governments in terms of environmental safety is inevitable. 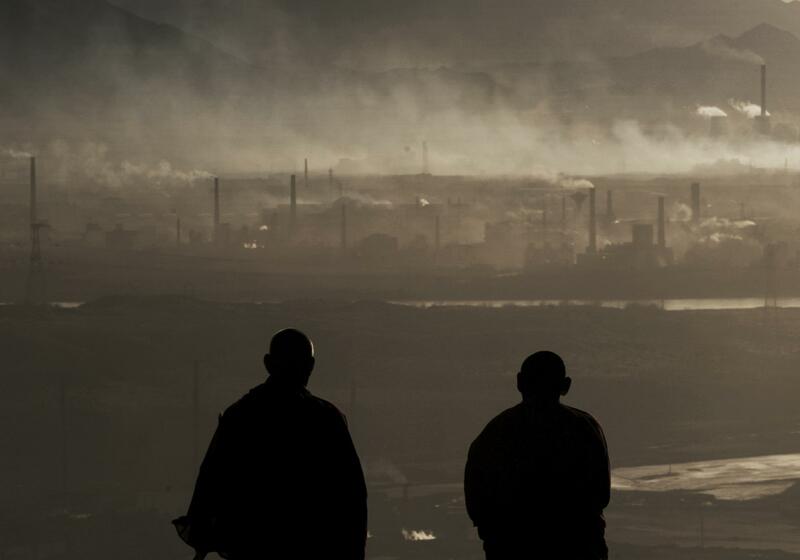 Environmental and other problems associated with Chinese investments such as attracting illegal labor or using only Chinese materials, are not adequately addressed at this stage. The ability of investors to “negotiate” with local officials is one of the reasons for the absence or lack of state regulation in relation to foreign investments in many countries of Southeast Asia, Africa and Central Asia. As for investors from Europe and the United States their opportunity to “negotiate” in the area of environment is limited, as these countries have legislation that penalizes the use of corruption schemes abroad. For example, in Italy, a case is being investigated against huge oil companies Eni and Shell, which are accused of using corruption schemes in Nigeria. Since 1977, the United States has a Foreign Corrupt Practices Act which punishes not only a direct bribe to a foreign official, but also the use of mediators to influence decision-makers. The law is periodically criticized for having a negative effect on the investment activity of American companies abroad. Especially if they have to compete on investments with Chinese companies which do not feel such pressure from the state when it comes to investments to other countries. The absence of clear legislative regulations imposing liability for corruption when investing outside the country, in a short-term perspective puts the Chinese investor in a preferential position. An investor can avoid high expenses required to fully comply with local laws and “negotiate”. But in the medium and long-term perspective, this strategy carries risks for Chinese investors, including in the framework of “Belt and Road Initiative”. There are two reasons for it. First, there is a risk now to become an object of discontent on the part of the societies of recipient countries of investment. The existing sinophobic sentiments can be reinforced by the not fully responsible behavior of Chinese investors, which will create difficulties for the existing and future projects within the framework of “Belt and Road Initiative”. In Cambodia – one of the most dependent on China (in terms of investment and grants) countries, have already begun to talk about a more demanding attitude to Chinese investors because of the strong socio-economic and environmental changes in the port of Sihanoukville city. Not a few of such cases also take place in Central Asia. In January 2018, some districts of Bishkek were left without heat due to an accident at the newly reconstructed CHP. The reconstruction was carried out on a loan from Exim Bank of China, by a Chinese company TBEA. During the inspections after the accident, two former prime ministers of the Kyrgyz Republic and heads of energy companies were accused corruption and detained. In addition, there are open questions in a significant overestimation of the cost for reconstruction (one of the accused, former Prime Minister Sapar Isakov, has repeatedly stated that the accident occurred in the old block of the Bishkek CHP. – Editor’s remark). Secondly, regime change is always possible, and the new authorities might keep relations with China, but not share the enthusiasm of their predecessors. In Malaysia, after the defeat of the previous prime-minister Najib Tun Razak, who was accused in corruption and the “Alliance of Hope” coalition came to power, the state policy regarding Chinese projects also changed. The new government has already suspended two projects under the “Belt and Road Initiative”, which could cost Malaysia more than $ 20 billion. The main reason for the suspension of these projects is the increase in external debt. In addition to irresponsible behavior of Chinese investors, China’s domestic policy of national minorities has an influence on the perception of China and the “Belt and Road Initiative” by societies in Central Asia. Although issues of domestic policy and investment are often considered separately, in the case of China’s policy on national minorities of the Xinjiang Uigur Autonomous Region, it can be stated that it already has a negative impact on perception of China and “Belt and Road Initiative” by Central Asia. For the development of western China or Xinjiang, close cooperation with the countries of Central Asia, through which opens a land access to the markets of Russia, Iran and Europe is very important. The developing Xinjiang also gets access to mineral resources in Central Asia. But in the past few years, an attempt to erase ethnic and religious identity and “sinification” of minorities can be seen in China’s domestic policy towards national minorities in Xinjiang. Basically, the tactics of retraining and total control over the external manifestations of religious and ethnic affiliation are used. These actions by the state structures are justified by the need to combat religious extremism and separatism. As a result, the Uigurs, Kazakhs, Kyrgyz and other national minorities living in the region suffer. 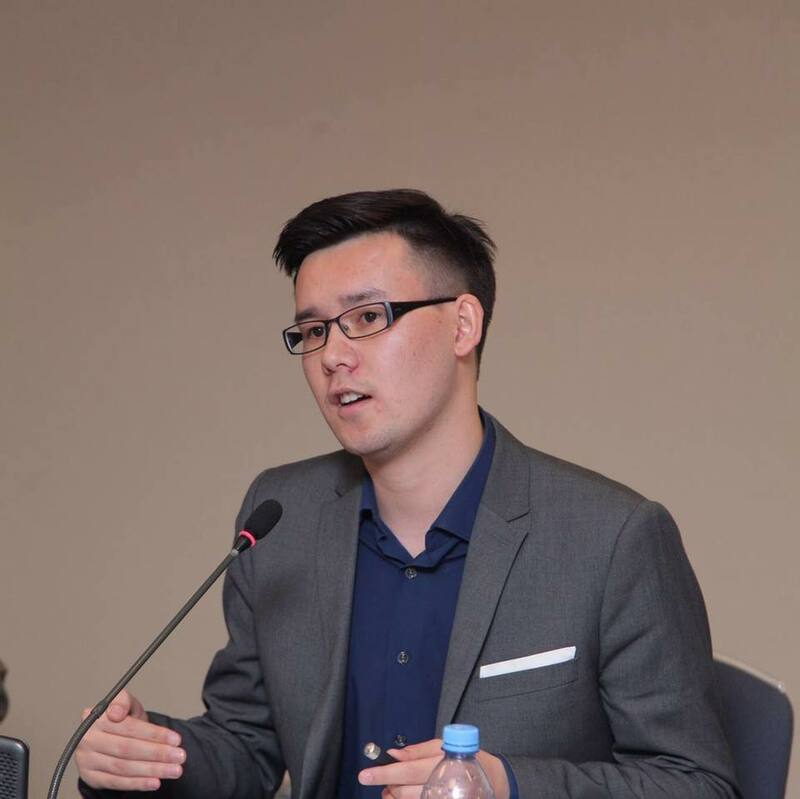 Berikbol Dukeyev: How Astana Should Respond to Oppression of Ethnic Kazakhs in China? The mass media of Kazakhstan, broadcasted in the Kazakh language, actively follow the processes in Xinjiang. Many have close and distant relatives who remained in China. Some ethnic Kazakhs who have moved to Kazakhstan have not yet received the citizenship of the Republic of Kazakhstan and are now experiencing difficulties with resigning from the citizenship of China. Children cannot reunite with their parents due to total control in Xinjiang. For example, the trial of an ethnic Kazakh, Sairagul Sautbay, who crossed the border between Kazakhstan and China for family reunion, attracted the attention of the public and international media. What is happening does not quite correspond to the construction of a positive image of the PRC. The language of power, total control, the rejection of cultural diversity, an attempt to erase national identity, especially related to the societies of the peoples of Central Asia, creates an image of an aggressive neighbor. In addition, China is creating with its own hands a focus of tension in close proximity to Central Asia. 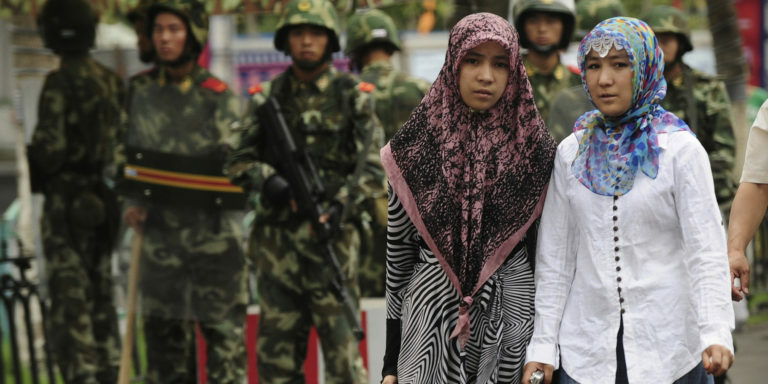 An attempt to erase identity can lead to a rise in extremist sentiments in Xinjiang. Now it is restrained by a total control and use of the latest technologies, but how far it can go on. Will this lead to an increase in conflict, or end in cultural genocide. For any outcome, this process negatively impacts the perception of China not only in Central Asia but throughout the world. The discourse of hostility will significantly limit the possibilities for full-fledged economic cooperation. Given that national minorities in China, including the Uigurs, Kazakhs and Kyrgyz, could be a bridge in creating closer and more sustainable economic ties. At this stage, crossing the border and communication with relatives puts minorities at risk of persecution, which already negatively affects the use of the potential of trade and economic cooperation between China and the countries of Central Asia. If the leadership of Kazakhstan, Kyrgyzstan and other countries of the region will not focus now on this issue for various reasons (although this already leads to the appearance of a focus of tension in the region), in the future it is possible that the growth of public pressure within countries and international pressure will lead to the restriction of not only political but also economic ties with the PRC. In general, one can speak of significant risks in the implementation of the “Belt and Road Initiative” in Central Asia despite the positive dynamics of development at this stage. This article mainly addressed the problems inherent in the Chinese side related to the issues of sustainable development, the responsibility of Chinese investors and the domestic policy of China regarding national minorities in the Xinjiang. For the long-term development of the economic initiative, the Chinese side and the governments of the partner countries now need to be aware of the risks to the environment and take measures to increase social and environmental responsibility in the framework of investment projects. It is especially important to keep openness to cooperate with civil society organizations and NGOs in the region at all stages of investment and not to be limited only to the priorities of the state authorities of the recipient countries. In addition, for the success of “Belt and Road” and building a positive image within the framework of this initiative, the Chinese government needs to strengthen the responsibility of investors in complying with the norms of investment recipient states and take measures to prevent corruption by investment companies. According to the survey of Transparency International, more than 3,000 managers around the world, Russian and Chinese companies are perceived as the most prone to paying bribes when doing business abroad. Despite the fact that China adopted amendments to the Criminal Code in 2011, which provides for liability for corruption actions against officials abroad, these changes can be classified only as a first step, and not as part of a full-fledged anti-corruption strategy in promoting Chinese investment. If many Chinese projects are associated with corruption scandals, as happened in the case of the construction of a CHP in Bishkek and other infrastructure projects, it is hardly possible to speak of the successful implementation of the initiative. In relations with the countries of Central Asia, another risk factor for the “Belt and Road” is the policy of the PRC regarding ethnic minorities in the Xinjiang. Despite the fact that the Chinese side accepted a delegation of public figures from Kazakhstan who were concerned about difficulties in obtaining documents and re-education camps in the Xinjiang, many questions remained open. In this matter, the top leadership of China needs to reconsider the approaches to combat extremism and separatism in the Xinjiang and prevent further escalation of the problem due to attempt of cultural genocide. The fate of millions of people, the image of China and economic losses are on the line due to the restrictions that will be imposed due to the growth of sinophobia in Central Asia. Progress in the development of the “Belt and Road Initiative” will depend on how far China can take action to address these problems. Central Asian countries also need to develop standards for cooperation with the PRC and, apart from economic indicators, pay more attention to environmental and social issues. The “Belt and Road Initiative” itself has a lot of positive aspects and meets the urgent requirements of Central Asian countries. Now this initiative looks like a shell, where success will depend on the content with which it will be filled in the future.